This Friday Find comes from a hidden gem of a winery, just in time for Thanksgiving. The beautiful grounds of Vercingetorix are nestled just outside Newberg, OR. 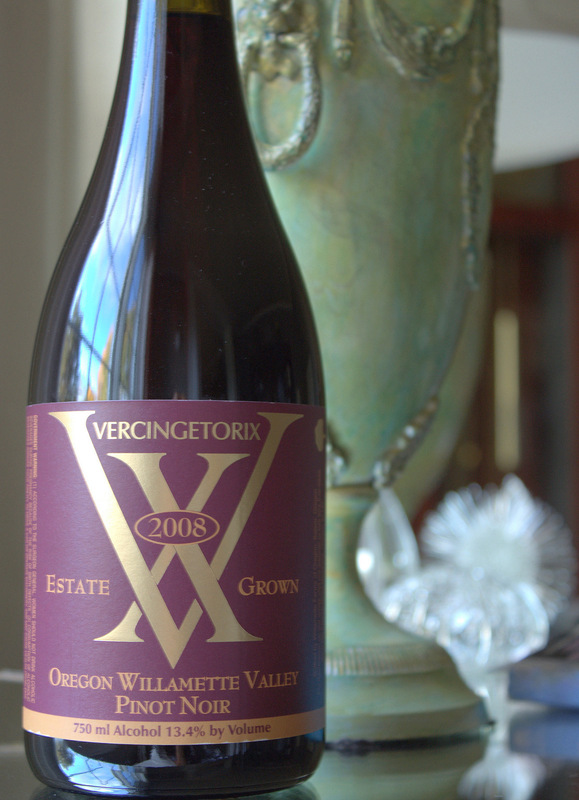 As Vercingetorix (pronounced ver-sen-ge-tor-iks) does not easily roll off the tongue, the winery also goes by the name VX Vineyard. The meaning behind their name is illuminated on their website. What better occasion to honor such a noble deed than Thanksgiving. A cornucopia of variety for harvest dinner and wine selections exists, yet Oregon Pinot Noir will surely grace many Northwest tables. Remarkable for only $20, the Vercingetorix 2008 Willamette Valley Estate Pinot Noir is a perfect selection. Emulating Burgundian style Pinots, aromas of earth, red fruit and subtle barnyard drift up from the glass. High toned Bing cherry, raspberry and lavender delicately balance with flavors of dried leaves and earth. This smooth, lovely Pinot is available through the winery for pickup or shipment. Add their $18 Pinot Gris to your order to round out your Thanksgiving wine selection! The tasting room is located on the grounds of the 210 acre Willamette Farms which produces hazelnuts, Christmas trees, arborvitae and their Estate Pinot Noir. Not far into wine country, the 45 minute drive from Portland is stunningly beautiful this time of year.